Angeline Bishop writes contemporary romance fiction and has a growing fan base. Angeline’s novels are thought-provoking, refreshingly entertaining, fast paced, and with a strong romantic elements. She was born in Washington, D. C., but lived most of her life in New Jersey and considers the ‘Garden State’ her home. Her childhood passion for writing led to a degree in English Literature and a membership in Romance Writers of America. Where did the concept for The Sheridan Series come from? The siblings in the Sheridan Series represent my favorite reception table at a friend’s wedding or the midnight gathering in the kitchen at holiday time. These people genuinely care about each other and even when they get on each other’s nerves we can see ourselves in their actions. I know the trend is to write about a group of brothers and then the sisters in order to encourage the readers to come along for the journey but that’s not how real life works. Sheridan siblings have lives that intersect with each other and with their friends and colleagues so it only makes sense to let them do what most families do and just have the reader peek into their lives. Will you be limiting yourself with this series? How far will it go? At this moment there are four foundation novels for this series but I’m getting so much positive feedback about few minor characters that I’m beginning to outline their stories too. 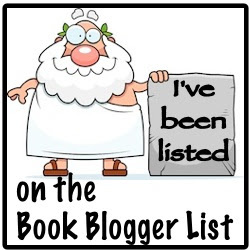 I’m also taking the time to make sure the character biographies are accessible to the readers on my website so newcomers to the series will know which novels their favorite characters appear. The story is based in South Beach, Is this a vacation area for you? I’ve been to South Beach and my aunt lived in Miami for years. There’s a life to the city that’s comparable to New York City. I enjoyed my time there and I knew it was the perfect place for Laila Sheridan, the resident fashionista of Psyche magazine. Sofìa was the hardest character to write because she had a very hard childhood which influences her outlook and her relationship decisions. She has a few breakthroughs in SOUTH BEACH thanks to her girlfriends. Does Laila love chaos in her life? Laila has a fast paced lifestyle of the fashion industry. She knows what it’s like to be judged before you open your mouth and she works very hard to show her competence and dependability in her field. This is a very tough task for a young woman dealing with established fashion mavens that have a strong hold on the industry. They can make and break her credibility with a single glance during NYC’s Fashion Week. With that kind of pressure at work, she wants a reliable, stable love life but she has a nasty habit for self-sabotaging her efforts. She picked her last boyfriend based on his sexual magnetism instead of his character in the hopes to help him become the man she needed. 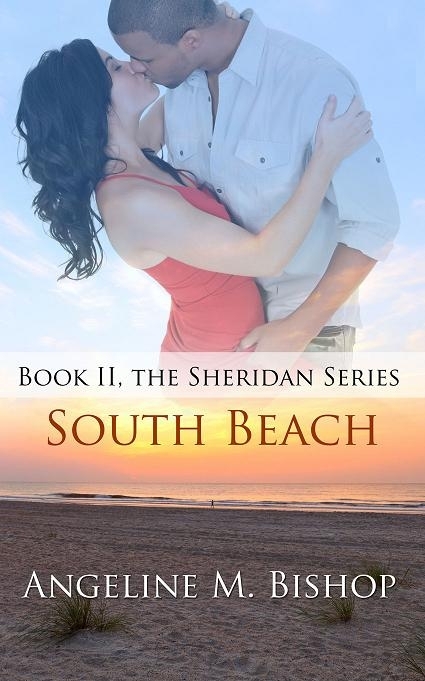 In SOUTH BEACH she must take a hard look at why she makes the choices she makes in love and in her friendships. Does any of your characters remind you of a friend or family member? Actually the characters remind me of many friends and family members because I take characteristics of several people I know and mash them together. I also take the traits of some celebrities or other newsworthy people and merge them with real people to create characters readers can relate to as they read the series. Who is Angeline M. Bishop? Wow, what a great question. Let me think about that for a moment. As human beings, we often identify ourselves by our circumstances, how others perceive us, our behaviors, or our positions in life. But none of those are really who we are. My authentic self, the part of me at my absolute core, is a believer in the healing power of love. Whether it’s the love of your family, friends, or your significant other, love heals. It’s the one thing I know God wants us to embrace. What is next in store for Angeline M. Bishop? I’ve completed book one of an inspirational New Adult series that I’m hoping will be pick up by a publisher soon. I’m working on Wild West, Book Three of the Sheridan Series. It will be the story of Latrell Sheridan (Laila’s twin brother). And this fall, I’ll be hosting the AMB Ovation Awards again. What piece of advice can you give writers who want to start a series? Writing a romance series can be a daunting project so I would tell them to make sure you they love their characters and that they have a strong desire to complete the series. For me, I want each book to have the ability to stand alone so I can see what resonates with the readers. You can find me on my website, Twitter, and Facebook. If you want to get my attention Twitter and my contact form on my website are the best ways. Thanks for the great interview questions. Quick update, my multicultural New Adult series has been pick up by Astraea Press. Yay! Thanks again for hosting me. This is wonderful news and Authors & Readers Book Corner can’t wait to read the new series.